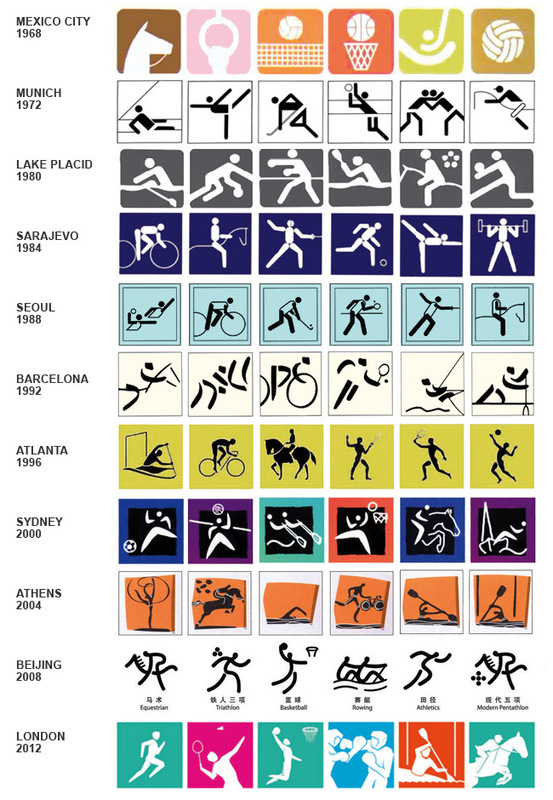 Continuing in the same Olympic theme, I thought I'd put a bit of a study together of graphic pictograms over the years. From what I could see, the icons used in Munich in 1972 were repeated in Montreal in 1976. It's really interesting that they were bold enough to use colour for Mexico City in 1968, but kept them monotone (I added tints for fun) until Sydney broke the mould in 2000. The Mexico City illustrations are also the only ones which don't depend on human forms to tell the story.